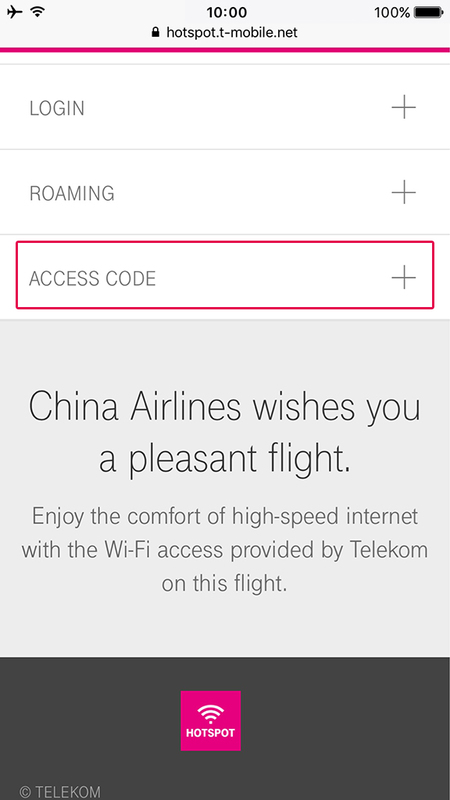 Redeem complimentary Wi-Fi Onboard service for purchase Premium Business class when traveling long haul flight with China Airlines. We offer a spectrum of on-board Internet service solutions to let you indulge in a roaming service in the air which synchronizes with that on the ground. *You are not logged in. Purchase Wi-Fi Onboard via website, Dynasty Member enjoy 10% discount or use mileage to redeem Wi-Fi Onboard. Click here to login Dynasty Member. 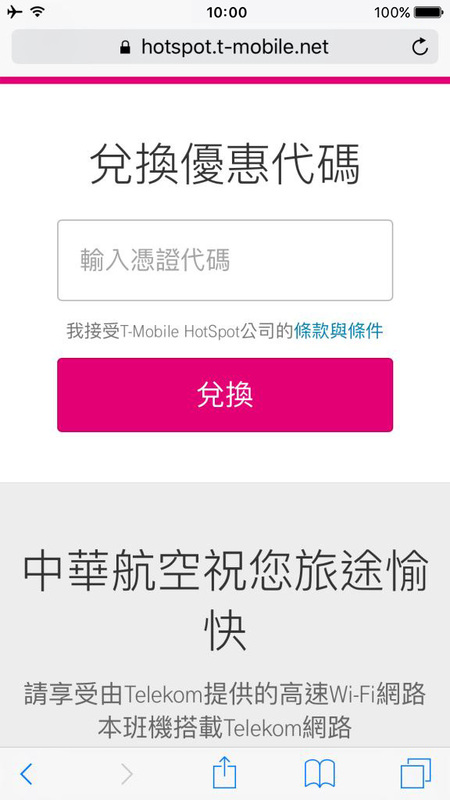 (Members can use 3,000 mileage to redeem Wi-Fi Onboard. 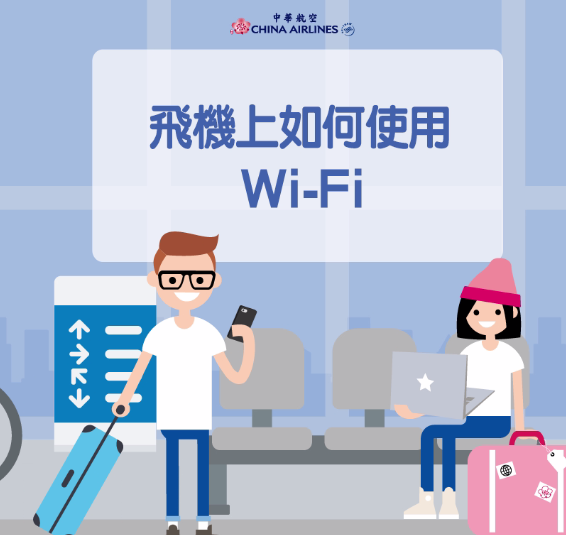 (Members can use 4,000 mileage to redeem Wi-Fi Onboard. (Members can use 5,000 mileage to redeem Wi-Fi Onboard. 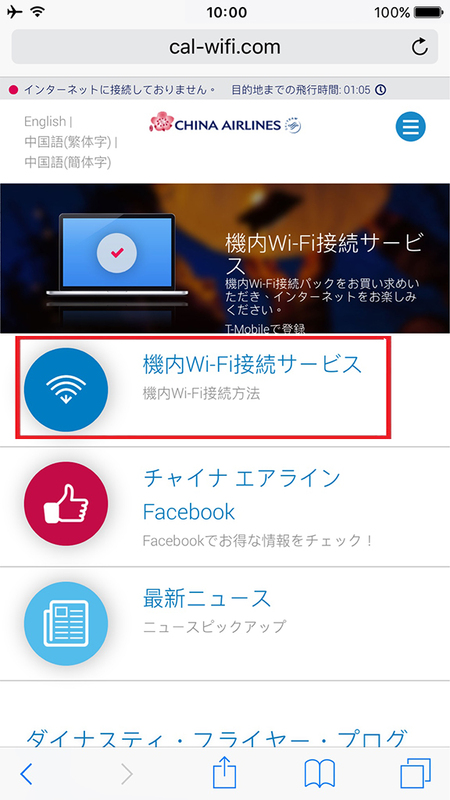 Four Easy steps connect to Wi-Fi. Turn on your mobile device and switch to flight mode. 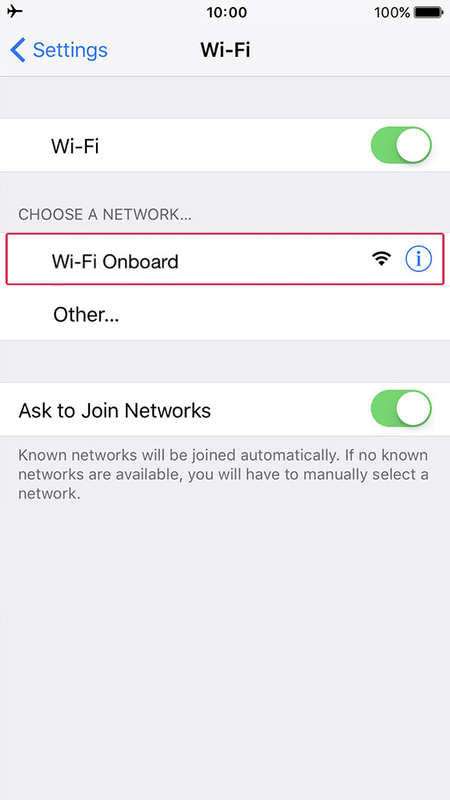 Switch your mobile device to "Flight Mode" and turn on Wi-Fi Connect to the "Wi-Fi Onboard" SSID. Launch your browser and type www.cal-wifi.com to connect to CALPortal. 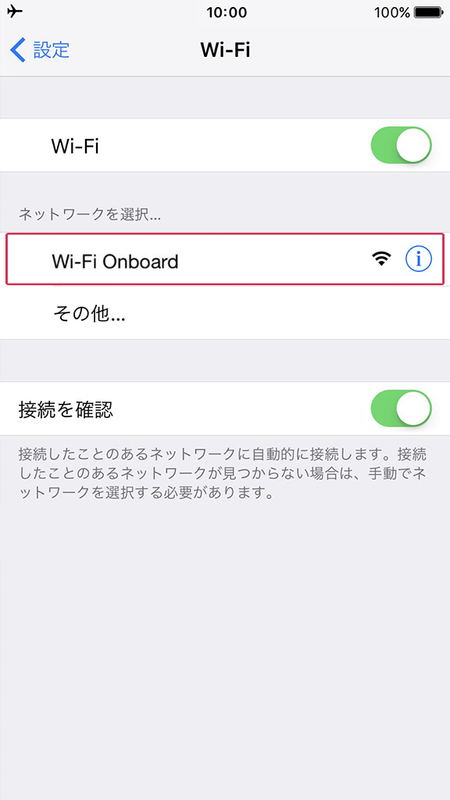 Click "Wi-Fi Onboard" item. Scroll down to the bottom of the page and click "Access Code". Enter your access code then click "Redeem" and Enjoy! 您的瀏覽器不支援HTML 5影片播放標籤video格式。 Your browser doesn't support the video tag. Wi-Fi Onboard service data transmission is through the satellite and will not be available above the Arctic and Antarctic. The disconnection time could last up to 3.5 hours depending on the routes and the season. The speed of Wi-Fi Onboard could vary as it all depends on the availability of the satellite and the number of users which works just like a Wi-Fi system on ground. 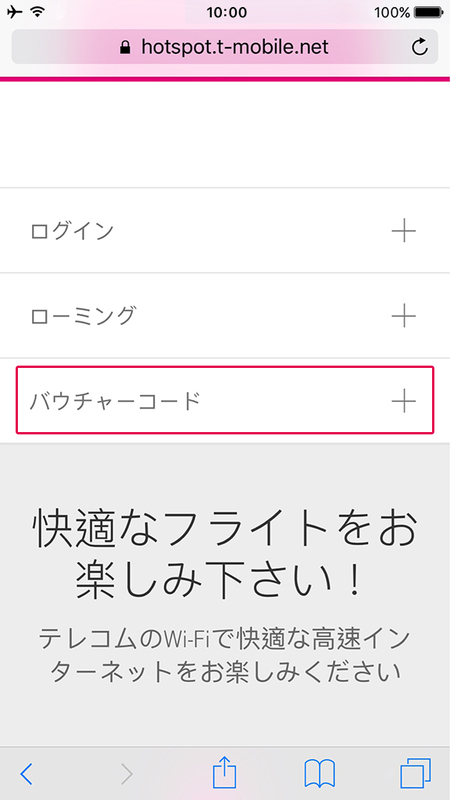 VoIP applications such as skype and adult sites are not supported by this service. 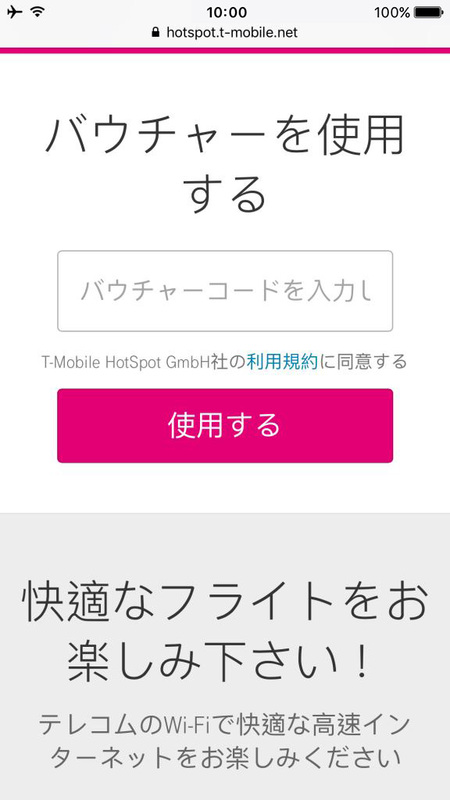 Can't access the service from two separate devices at the same time. 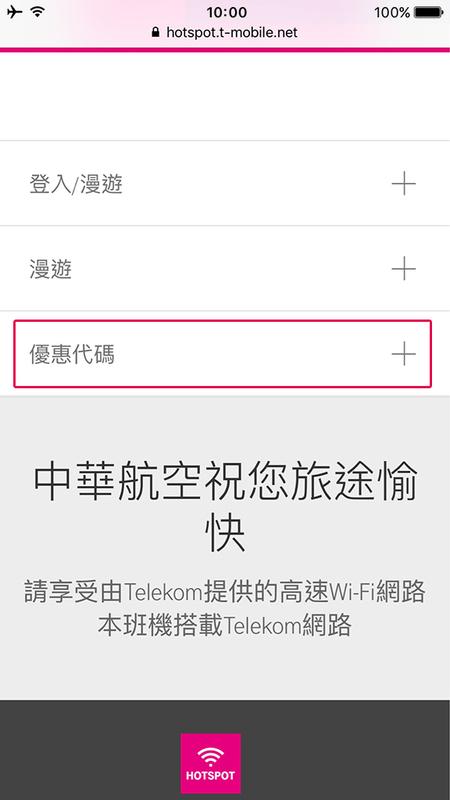 Wi-Fi session duration starts from the time of your first log in, and continues even if you log off or lose connectivity temporarily. 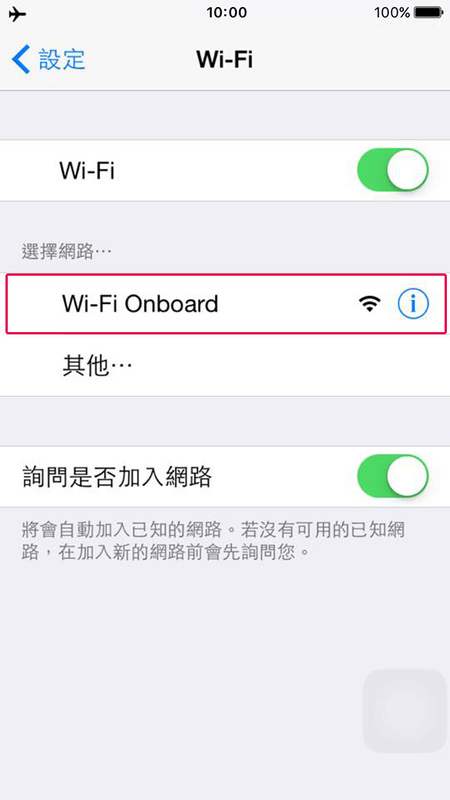 Wi-Fi Onboard service only available on China Airlines operated aircrafts (B777-300ER / A350). If you would like to learn more about the aircraft of your flight, please check Time Table for details. 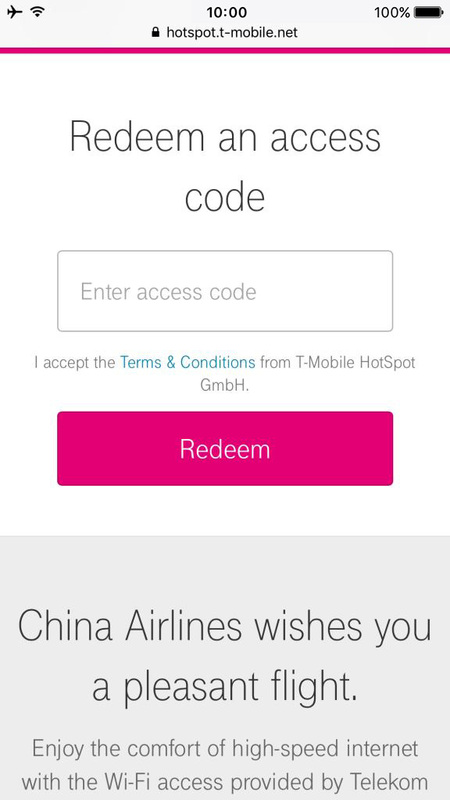 Wi-Fi Onboard Vouchers are non-refundable. 1-hour Wi-Fi Onboard voucher is valid till 2021/01/10. 3-hour Wi-Fi Onboard voucher is valid till 2021/01/10 . 24-hour Wi-Fi Onboard voucher is valid till 2021/01/10 . Keep up with friends and family using messaging apps such as LINE, WhatsApp and more Data limit is 15MB, allowing approx. 2,500 sent messages or 100 minute of sent audio messages Speed limit is 64 kb/s, not suitable for download pictures, web browsing or video streaming Be sure to turn off the automatic updates fuction of your mobile device. Checkbox for agreement of above important notice I certify that I have read and agree to the Terms and China Airlines Data Privacy & Security Statement.